Sometimes it is the simple things in life that are so good. Our simple and easy strawberry mousse recipe is perfect for soothing a sweet tooth or surprising your sweet heart. With only 3 ingredients you can whip it up in no time. It can also be dressed up in a fancy glass or used in many other recipes. Add heavy whipping cream and box of jello in mixer bowl. 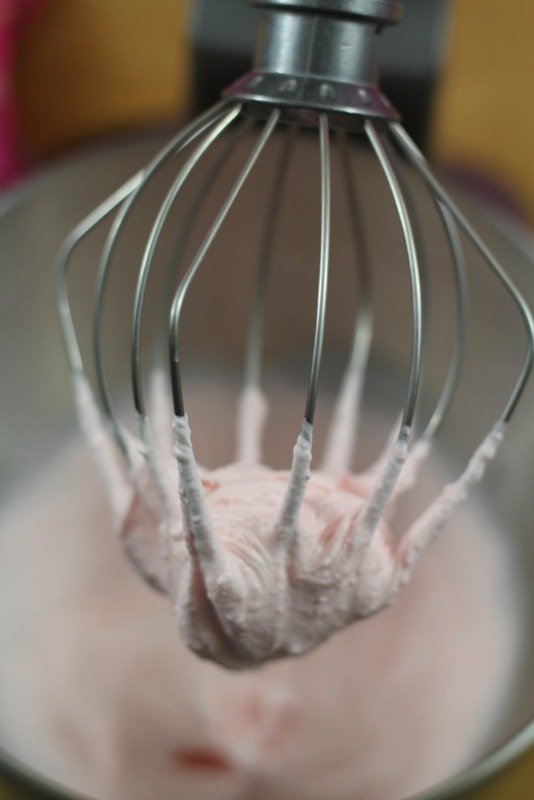 Mix on medium speed until jello is thoroughly incorporated and whip cream is thick. 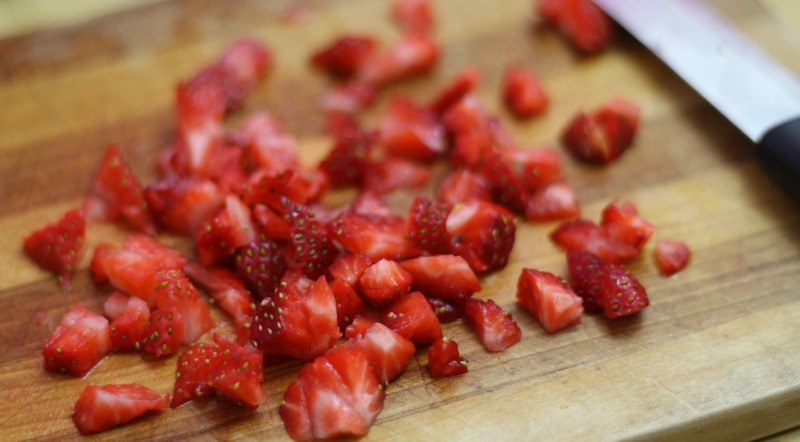 Fold in fresh diced strawberries. 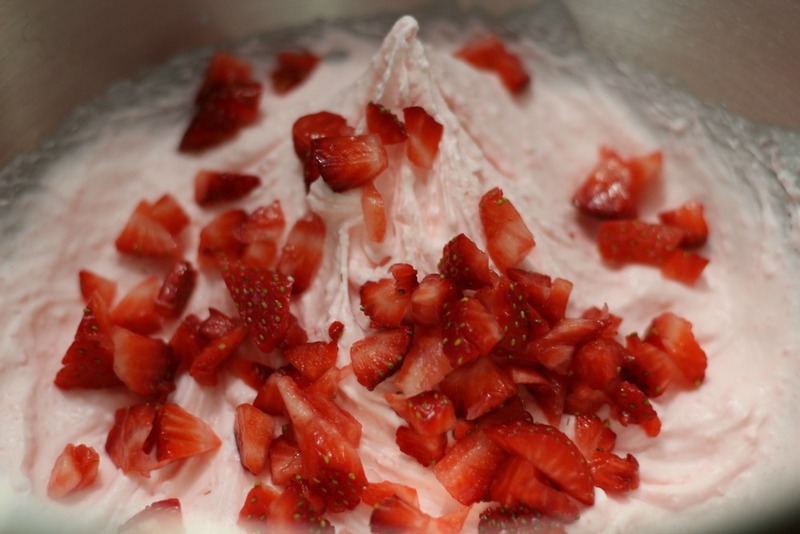 Scoop the strawberry mousse into a pretty dish. I used cocktail glasses but you could use any little dish you have. 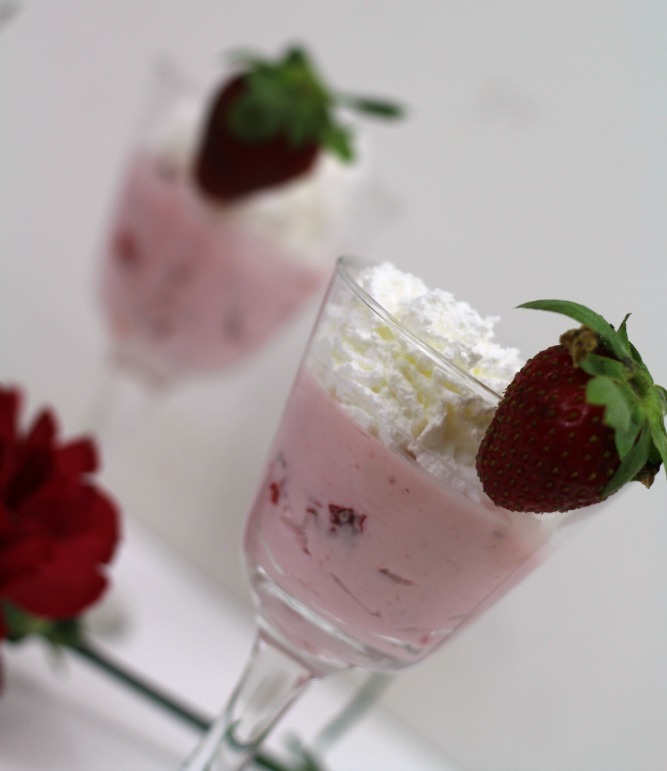 Garnish with some whipped cream and a strawberry to make this easy strawberry mousse even prettier. 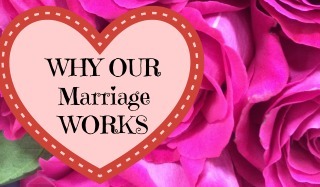 I don’t know about you but in our hectic season of life we have to really work to set aside time for a little romance. It is so important to show your special someone how much you love them, not just at Valentine’s Day but throughout the whole year. Finding special treats like our easy strawberry mousse recipe can help us make time to show someone we love them. You can use this easy mousse recipe as cupcake filling, layered with fresh fruit in parfaits, or even to make strawberry shortcake. I think it would taste great on waffles or in a chocolate dessert cup. Enjoy and share a sweet moment with someone you love! 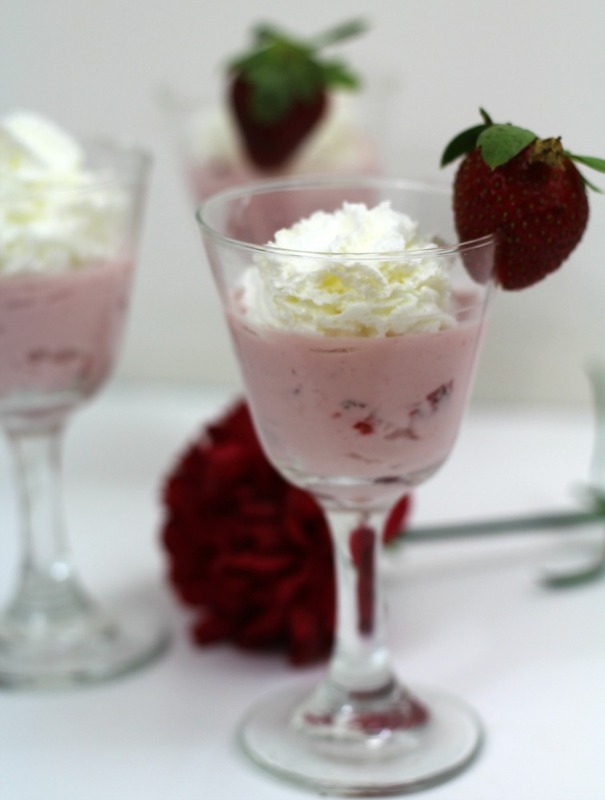 How would you use this easy strawberry mousse recipe? I would love to hear your ideas!